After weeks of welding, wiring, painting and slowly working our way down the mountain we at last got down to the waterline of the pool today. It was the warmest day of the year so far but the crew worked through the heat to do the task. Once the Peter and I get the mud on the crew jumps in behind us to sponge over the surface to smooth over the trowel marks. Some areas are pretty tricky to get to but we just call in our expert TJ. By the end of the day we had finished mudding the mountain and the rest of the way around the bumper boat pool. The ladies had finished the coats of paint on the upper portions of the mountain. This meant we could cut the scaffold off those sections. 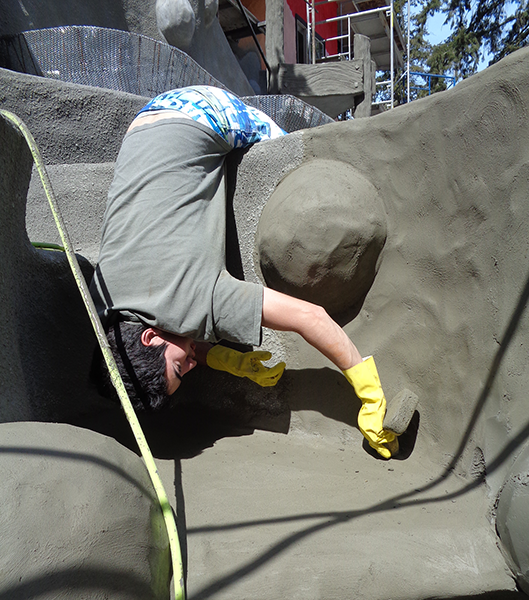 Where the scaffold attached to the wall we'll put in some rocks, then move even lower down the wall. 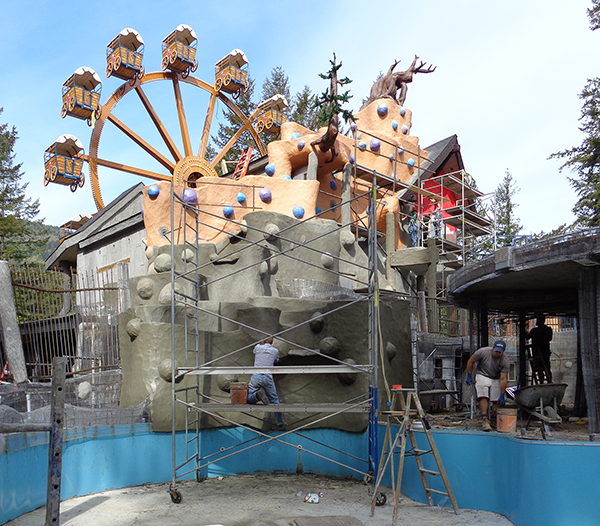 The mountain is massive and is going to look fabulous all painted up with the greenery in place. It was another great day with plenty of visible progress thanks to my hard working crew.